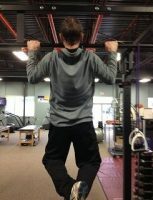 Hardest Upper Body Exercise? Pull ups of course! What are you training for: Health, Fitness, or Sport?